We hope that you have had enough rest this summer and you are ready to get back to work full of energy and enthusiasm. Haven’t you still created a web page for your business? Do you have a lot of projects in a queue waiting for being completed ASAP? Things will get easier if you create web projects with ready-made themes. There are plenty of cool and trendy solutions available on the web. Pick any and bring your business to the web effortlessly. 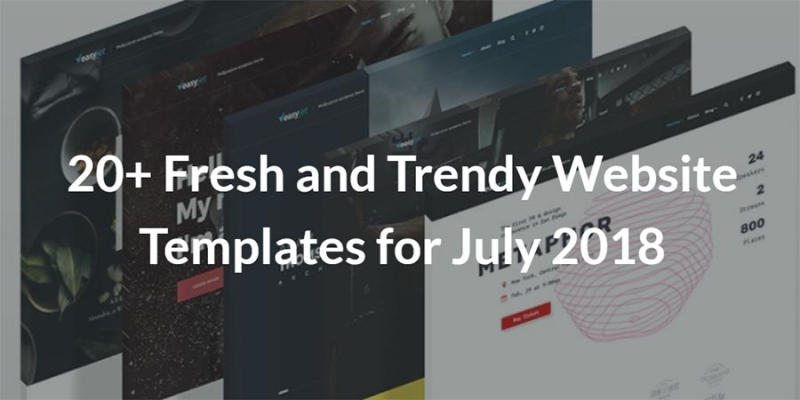 Below, you can find a collection of the 20+ freshest web themes for July 2018 that are available for download at templates.com. 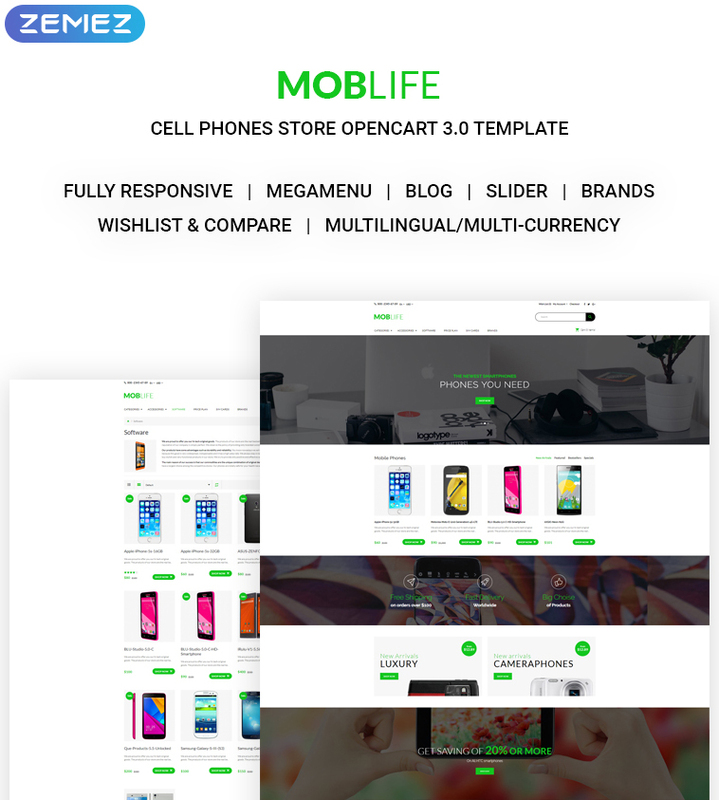 The theme will come in handy to everyone looking forward to launching a mobile or electronics web store. The accurate and minimalistic design makes it the perfect fit for cellphone businesses. The download package contains everything that’s needed for a fully-fledged web store launch. For example, the theme contains smart filters, wishlist, multicurrency modules, intuitive navigation patterns, etc. 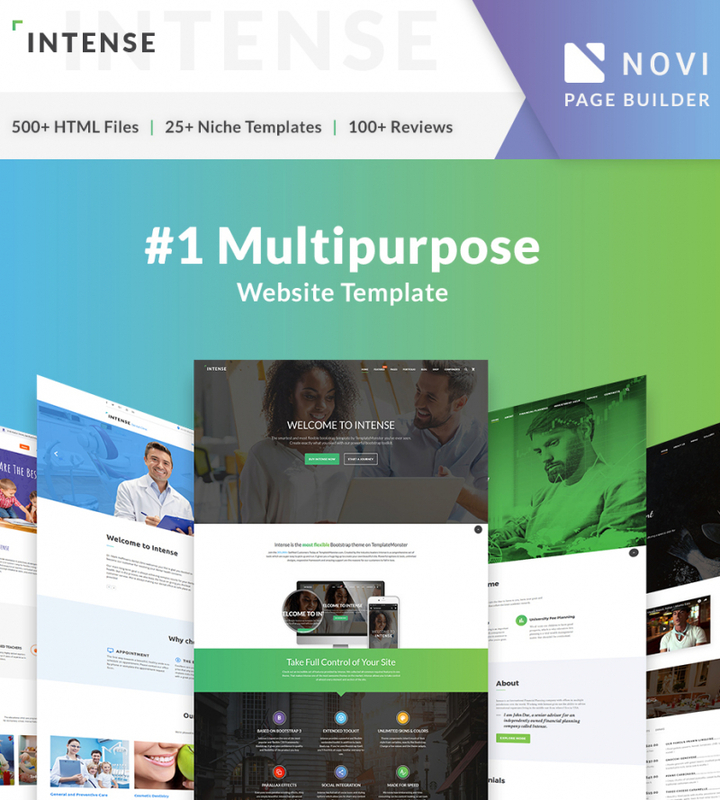 Intense is the must-have HTML5 website template for everyone looking for a professionally-built solution that’s suited to be used for a range of business and personal web projects. 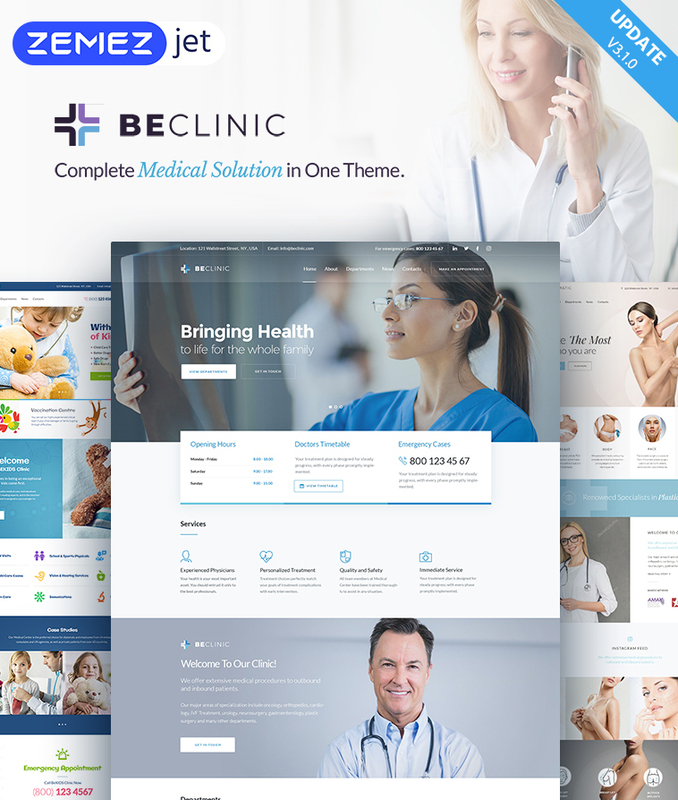 It contains a rich collection of HTML5 pages and ready-made layouts that are ready to be adjusted in the way that matches your needs ideally. Modifying the theme’s layout without touching a line of code is made possible thanks to the Novi page builder that’s included for free use. 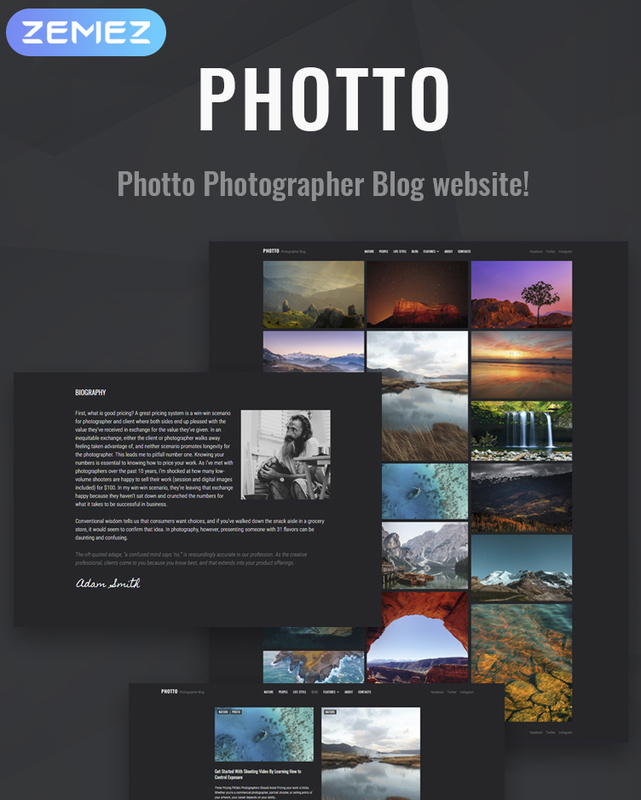 If you need to build a photo-rich web page representing photography or design portfolio, then Photto will be your best choice. Being integrated with Elementor page builder, the theme is ready to be manages by the users of all skill levels. Additionally, the theme contains an impressive collection of Elementor plugins like JetBlogs, JetReviews, JetTricks, JetElements, JetMenu, etc. 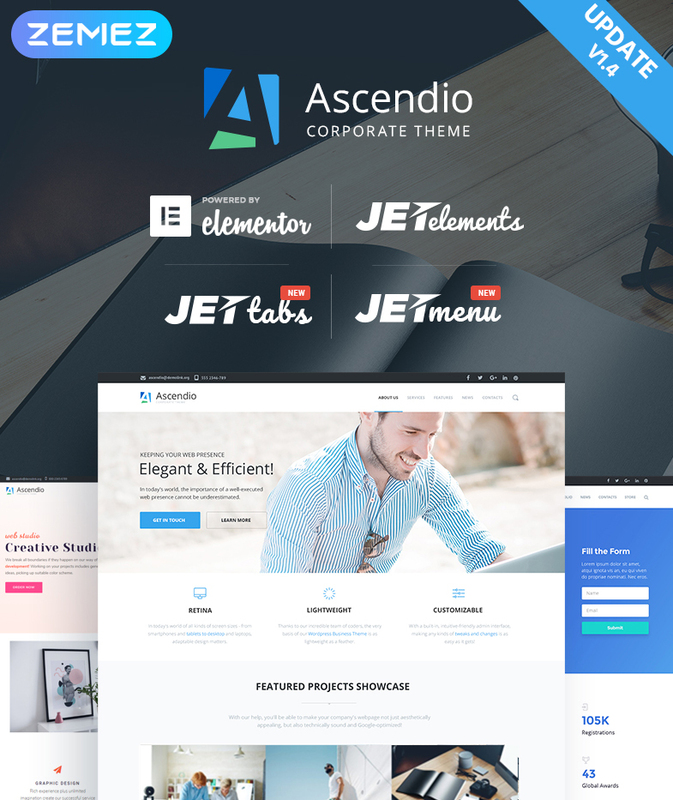 Ascendio is the ultimate WordPress template that’s suited to be used for the launch of all types of business sites. The availability of Elementor drag-and-drop page builder is the great bonus for both expert webmasters and beginners. The theme is loaded with a bunch of tools that are needed to boost the reliability of your web project, like testimonials plugin, fully editable and filterable Cherry Projects Cherry Services, etc. 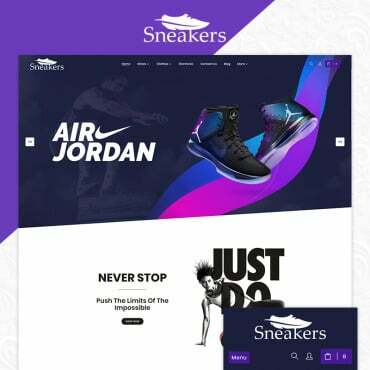 The effective landing page design is focused on the presentation of a specific product/service/startup project in the way that motivates the web users to take specific actions. The given landing page template will be the ideal fit for the launch of digital marketing agency landing pages. The responsive and SEO-optimized code of the theme is intended to make your web page more findable in the search engines. 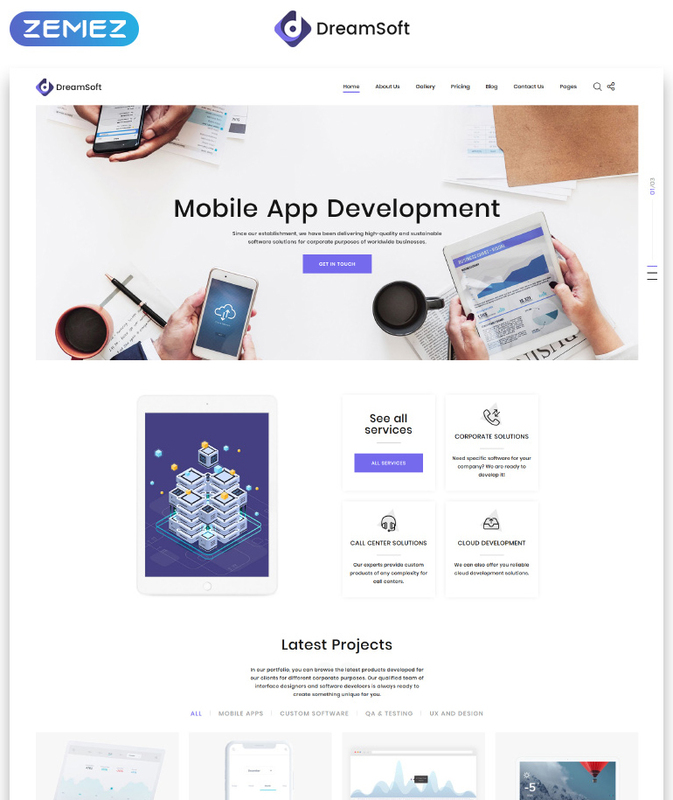 Woostroid is a feature-rich and absolutely usable WooCommerce template that can be installed on the unlimited number of sites due to the GPL license. It contains Power page builder that facilitates and speeds up the process of the theme’s customization. The built-in WordPress Live Customizer is intended to reveal the results of the theme’s modification in the real-time. The fully responsive layout of the template is enhanced with such premium-quality plugins as BuddyPress, bbPress, TM Timeline, etc. The template is the ideal fit for the quick start of software and Internet company websites. 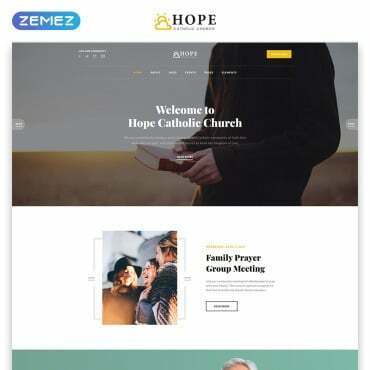 It contains a collection of 30 ready-made pages, multiple pre-designed layout options, and a wide choice of UI elements that are intended to be used for delivering a unique presentation for your business online. For a more catching presentation the theme includes smooth animation effects, lazy loading functionality, and a whole lot of other functionality providing for the worry-free navigation of your content. The template includes all pieces of functionality needed for the quick start of a range of medical businesses. The download pack includes a rich set of features that are intended to let businesses get in touch with their clients, book an appointment, leave a review and check out testimonials of other customers, etc. The theme is SEO-friendly, well-coded, and optimized for the flawless performance in all web environments. The easy-to-use WordPress Live Customizer is included for the quick and worry-free customization of the theme’s layout. The theme is the ideal fit for the launch of travel-related web pages. With its help, you will feel the ease of getting started with accessories, outfit, travel bags, activities, and multi-purpose web pages. The fully responsive layout of the template is intended to adjust to all screen sizes automatically. 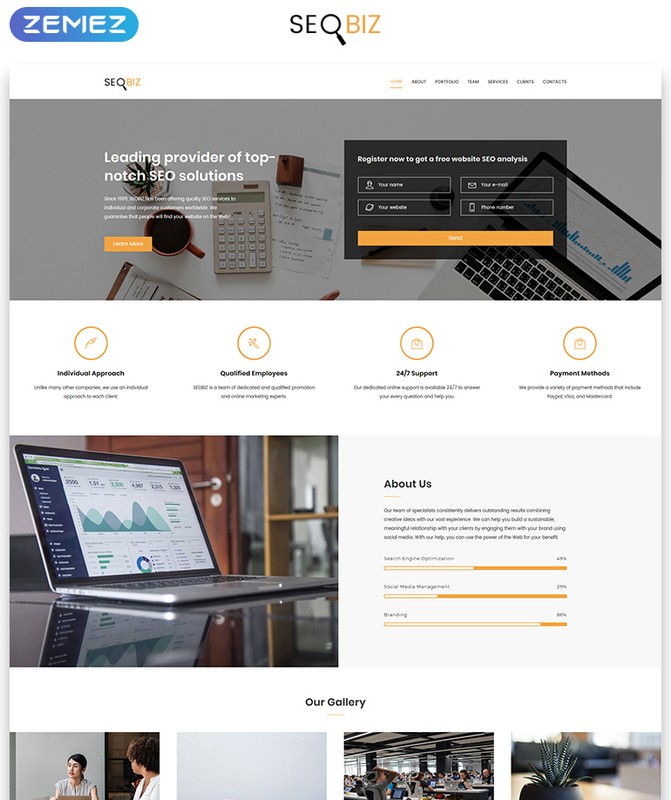 The clean and minimalist design of the template looks easy on the eyes, providing for a more enjoyable browsing experience. 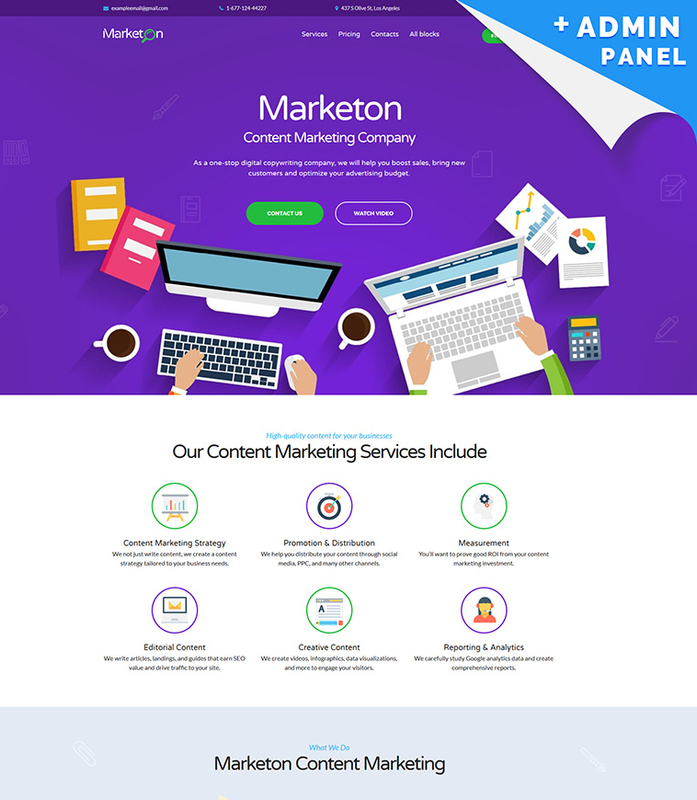 Content marketing and digital marketing agencies will stand out from the competition when you build then with the help of this landing page theme. 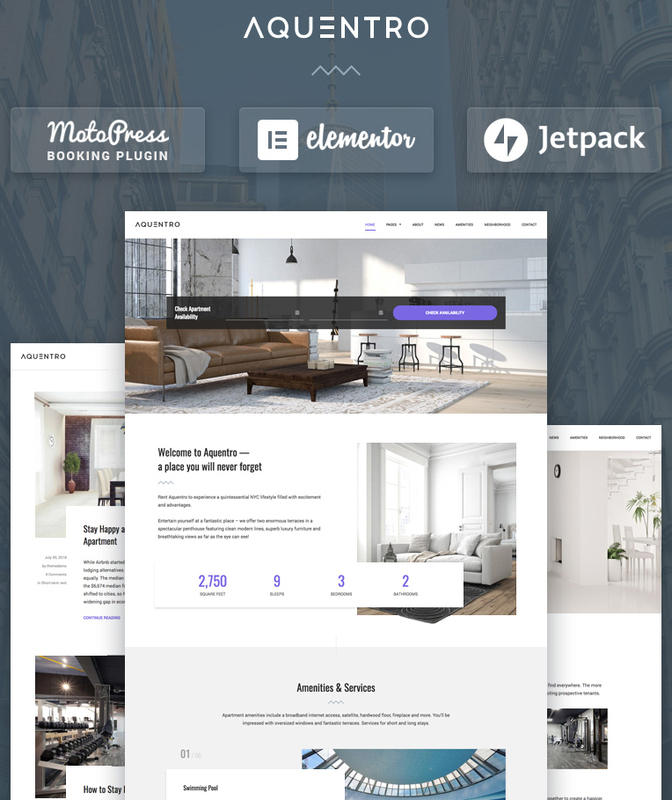 The layout features elements of metro style, which delivers a trendy style to the landing page. The layout is spacious and well-balanced, which allows the web users to come up with the necessary pieces of data in a blink of an eye. 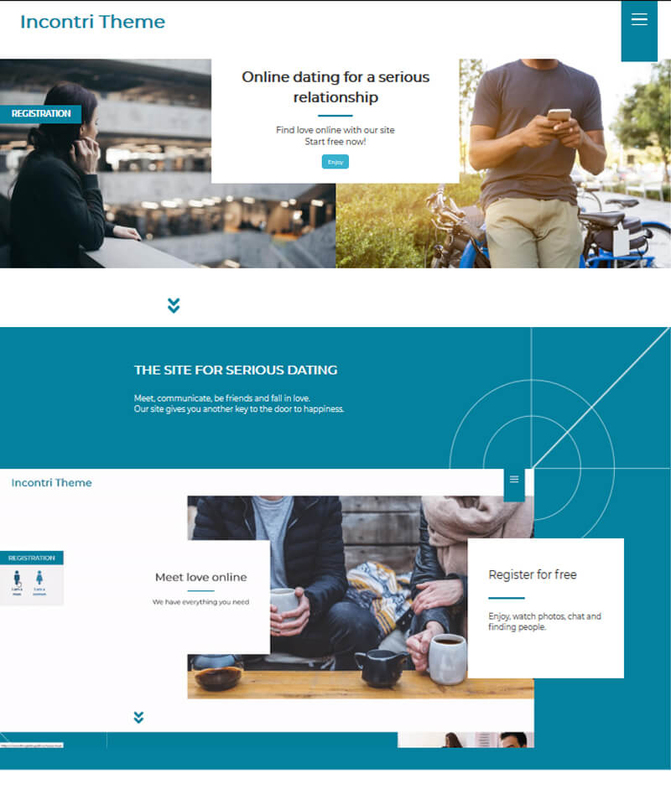 The template for online dating agencies doesn’t make use of any heavy design elements. The built-in filters simplify and enhance the way the users navigate your web page. Running on Bootstrap 3, the theme is fully responsive and cross-browser compatible. EasyJet is a multi-purpose WordPress theme coming integrated with Elementor page builder. 12+ stunning home pages that are suited to be used for sports, fashion, food, business, and a range of other purposes. Quick-to-install and easy-to-modify, EasyJet is loaded with the premium-quality plugins and a collection of 90 high-resolution images, which are bundled for free. The template will be the perfect starting point for a range of business-related sites. 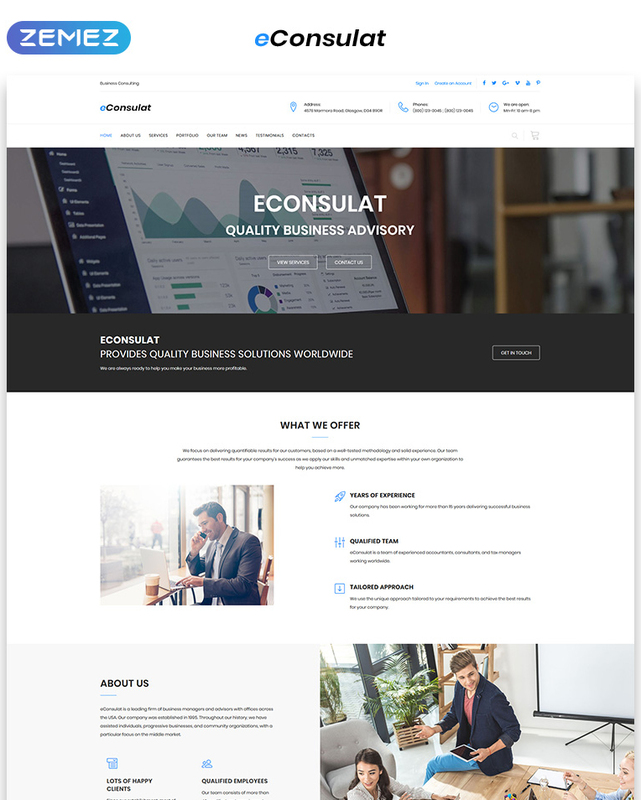 The clean and crispy layout of the template is based on the responsive Bootstrap framework. A rich UI kit will help you deliver various pieces of data to the pages of your site easily. The clean and well-balanced layout of the theme’s pages is impressively readable and quick-to-scan. 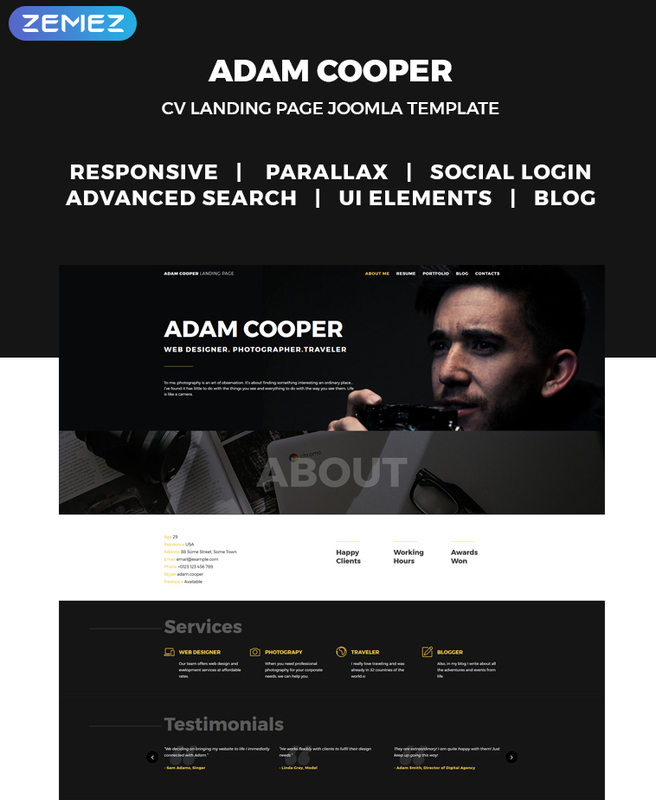 The template is loaded with a bunch of widgets and modules that will help you to enhance your site’s performance. The template will be the best fit for launching creative photography and design portfolio websites. If you are a beginner photography looking for the ways to present your works with style, then the given theme will be the ideal fit for you. It is fully responsive and comes loaded with a selection of handy tools that will be of the great use for blogs and portfolio sites. As the name suggests, the template will be the ideal fit for the launch of educational web projects like kids centers, colleges, schools, dance classes, etc. 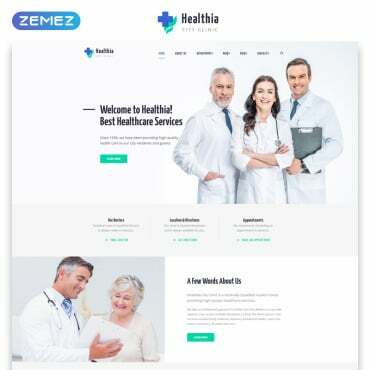 The fully responsive layout of the theme provides for the flawless performance of your site no matter what devices people use to access your data. 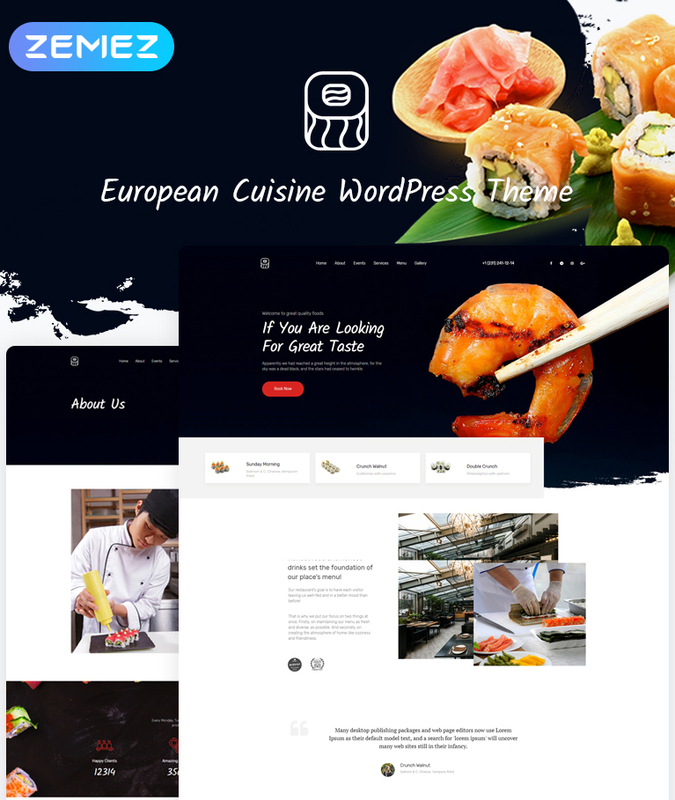 Food-related web pages will look trendy and appealing if you use the following template as their foundation. High-quality visuals lure the viewers no matter what device they use to access your content. The theme features handwritten fonts that deliver a personalized feel to the web page. The fully editable layout of the theme can be tweaked code-free with the help of Elementor page builder. The theme is ECWID-ready, so you may feel free to enhance it with eCommerce features whenever needed. The theme is intended to be used for the launch of eCommerce sites, especially the ones selling electronic devices. 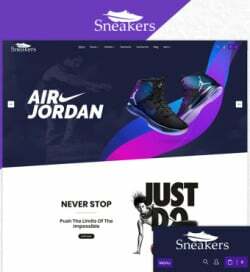 The simple layout of the theme is enhanced with all functionality that’s needed to provide online shoppers with the seamless browsing experience. 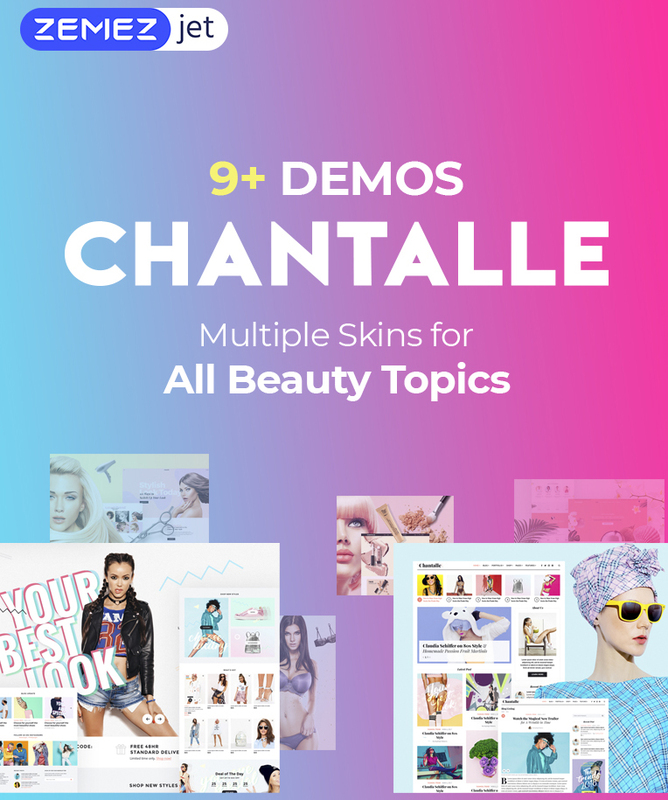 For example, the download package includes carousel product listing, product badges, MegaMenu, unique catalog and product pages, configurable swatches, etc. 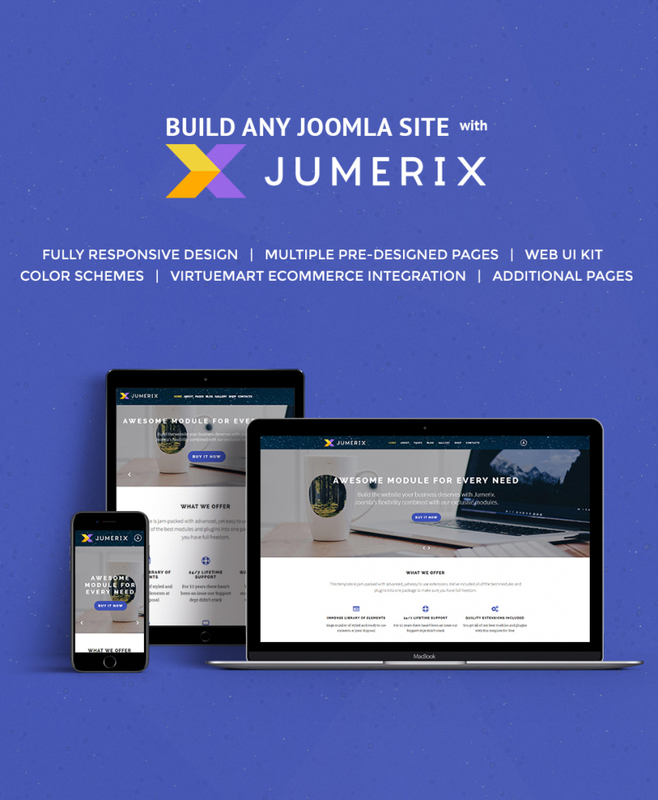 You may feel free to use Jumerix theme for the quick start of blogs, portfolios, business pages, corporate projects, as well as eCommerce sites. Built with the clean and valid code, the template includes a rich UI kit of elements that will come in handy while delivering your content to the web. Navigating your site’s data will be quick and intuitive thanks to the usable MegaMenu and built-in Ajax search. The theme is well-suited for the launch of property rental sites offering single or multiple units like apartments, hotels, etc. 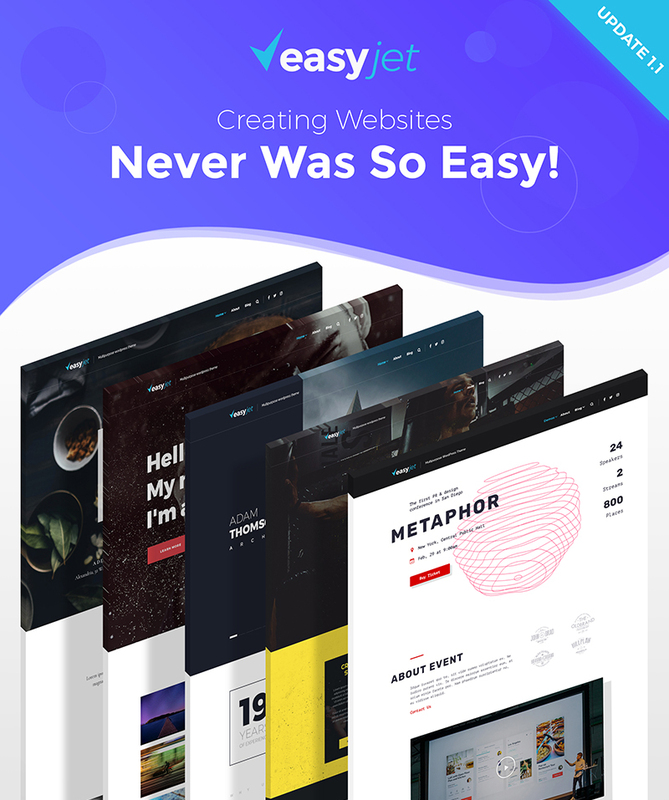 The theme is quick and easy to edit thanks to the built-in Elementor page builder. It is loaded with WordPress booking plugin, which lets your site visitors make quick reservations with a few clicks. Also, the theme supports the possibility to synch booking from all external travel channels that support iCalendar with your site. 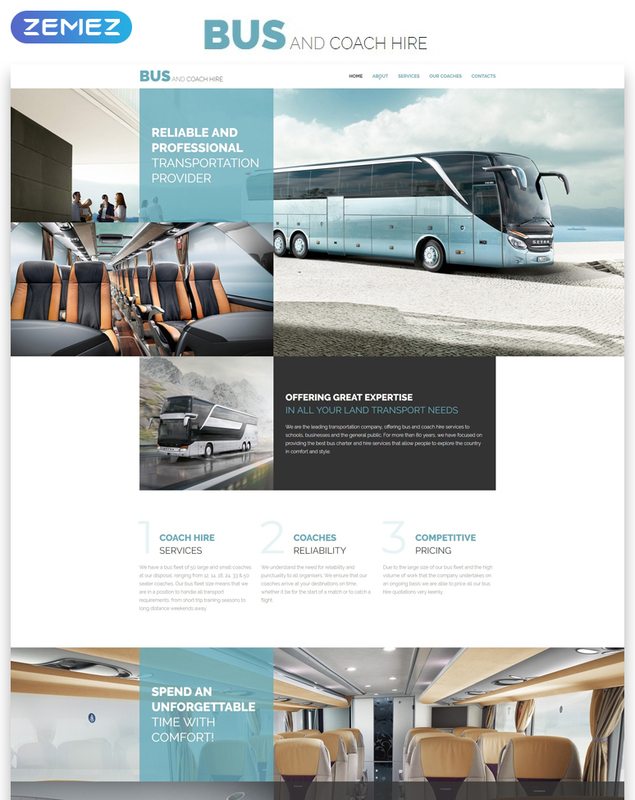 Make transportation company web projects stand out with the sleek and professional presentation on the web. 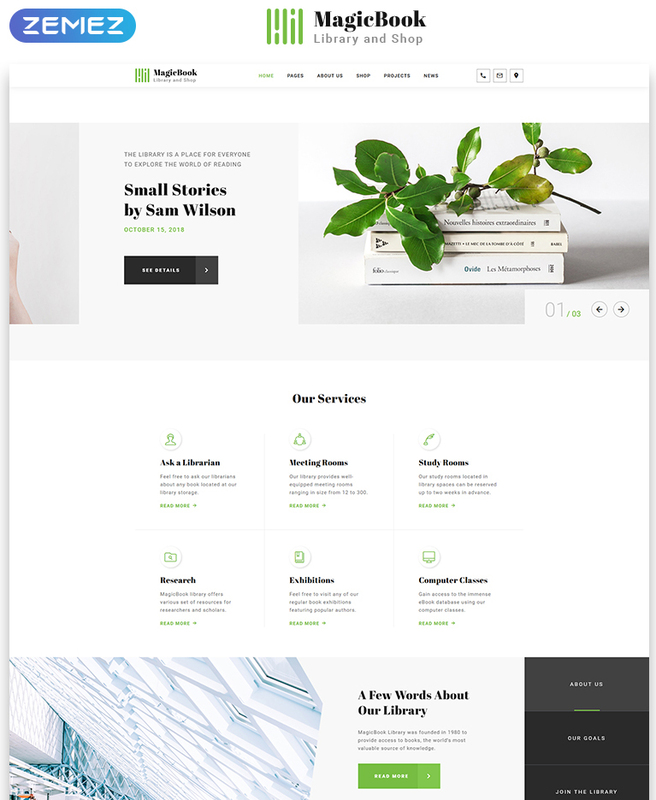 Featuring square and rectangular content blocks, the theme’s layout looks well-balanced and easy-on-the-eyes. 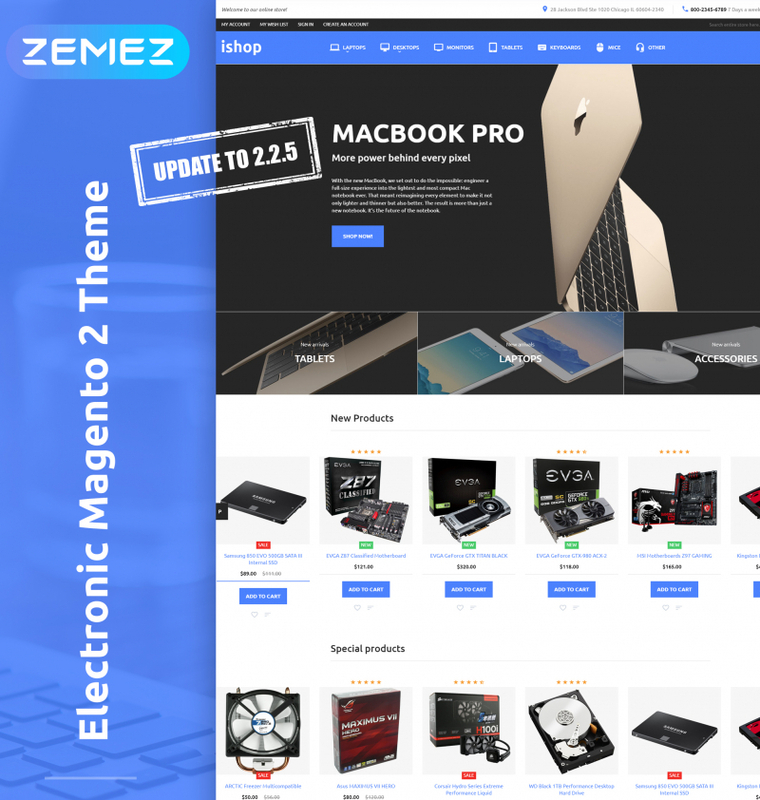 Created with the valid code, the theme is highly responsive and optimized for the flawless performance in the major search engines. The theme is intended to appeal to everyone looking forward to launching smart and appealing online portfolios. Designer and photographer web pages will look professional on all devices. 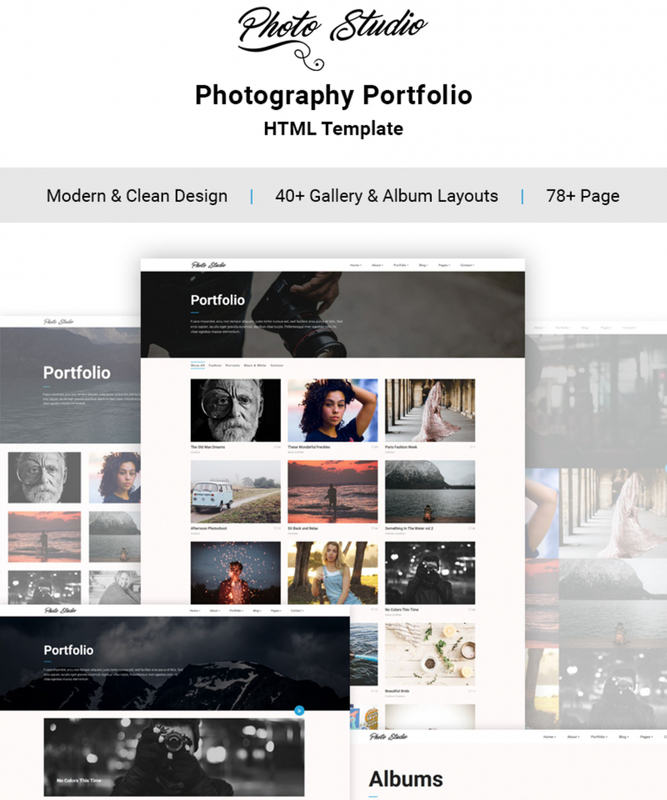 The fully editable layout includes a rich UI kit and a selection of pre-designed layouts that are intended to present your portfolio and skills in the pro level. 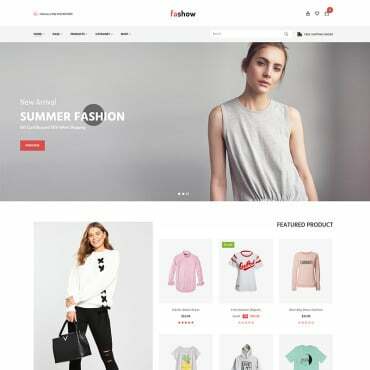 The catching and stylish design of the template will be the ideal fit for the launch of fashion and beauty online projects. 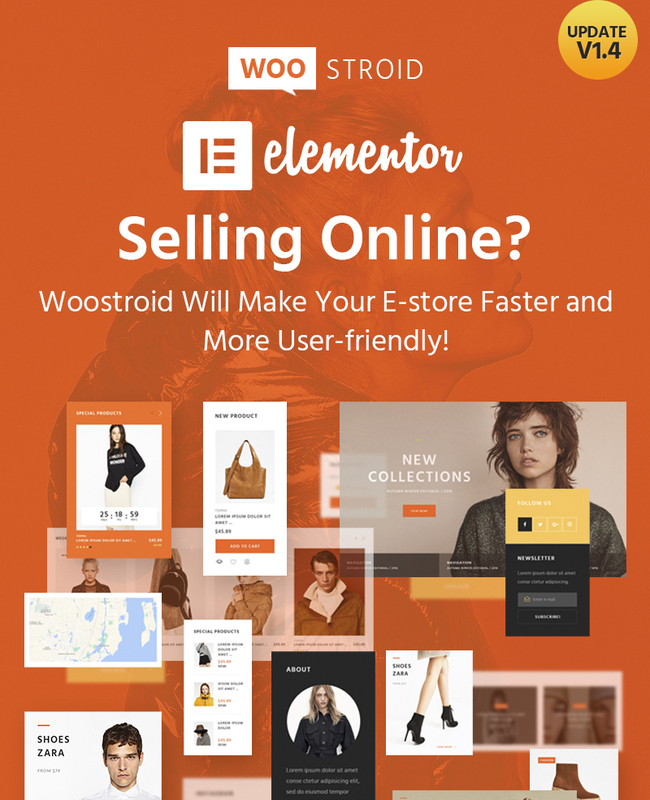 The theme is integrated with Elementor page builder and contains a handful of smart customization options, making it quick and easy to customize the template as per your specific needs. In terms of navigation, the theme is made impressively simple and intuitive. Modifying the layout is made possible without any special coding skills. 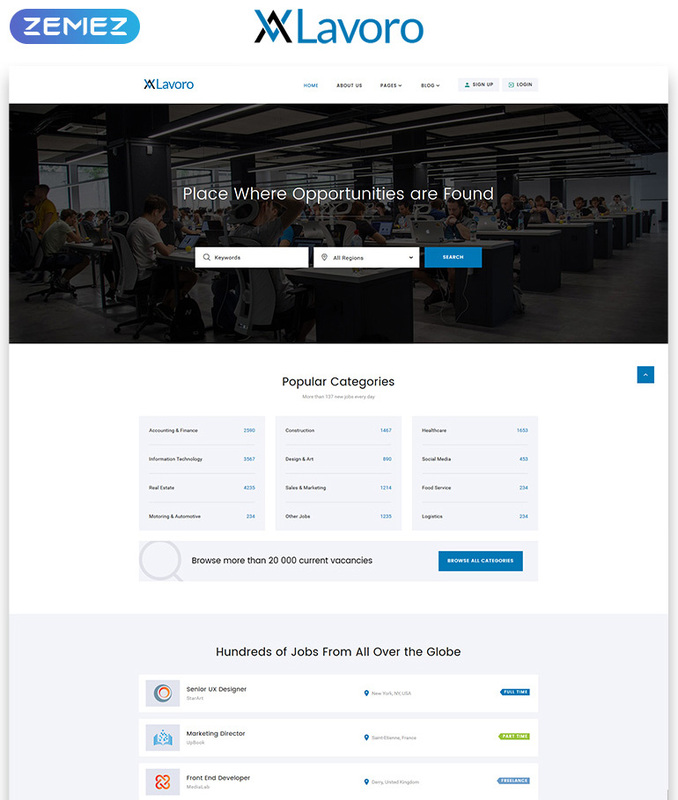 Choose this theme to get started with the jobs portal and recruiting agency web page. 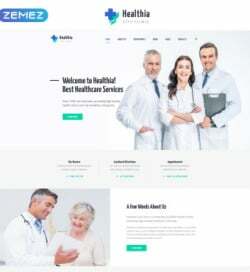 The theme is SEO-optimized and built with the valid code. Several ready-made pages are included to free you from the necessity to run extra design and development work. Brave theme is the ideal foundation for the launch of high-profitable web pages representing different business niches. This is a Bootstrap-based and cross-browser compatible solution containing 100+ pre-made HTML pages. 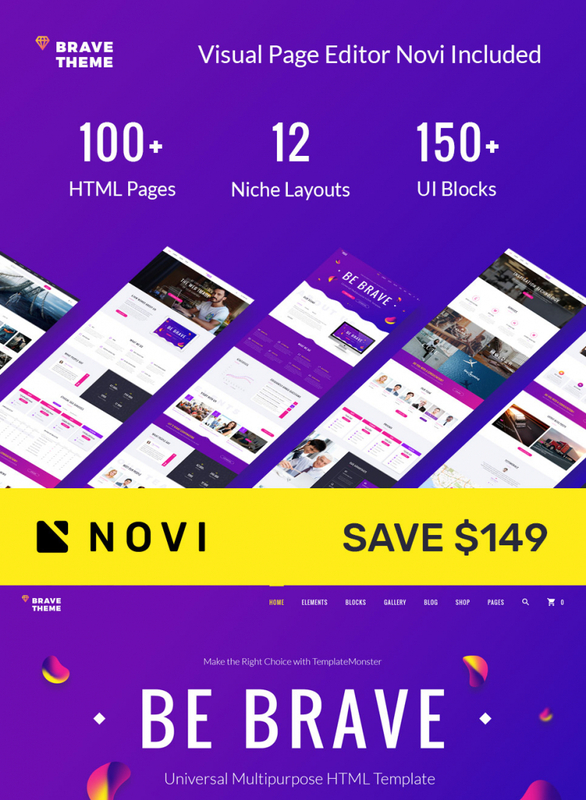 The theme is integrated with Novi page builder, which provides for its quick and code-free modification. 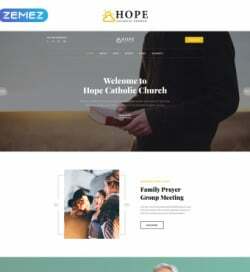 The theme is loaded with lots of unique header and footer styles that are ready to be adjusted as per your specific needs.